The Vienna based CEE-headquarters of the German Henkel Group raised sales by 7.2% in 2011. “In 2011, Henkel again proved its strength in a competitive environment. 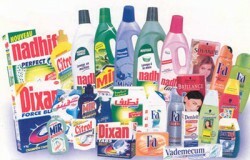 Due to innovative product concepts and excellent brands, revenues were up by 7.2%.” Henkel CEE says. In euro currency, sales rose by 4.4% to € 2.81bn. Profit figures were not disclosed.